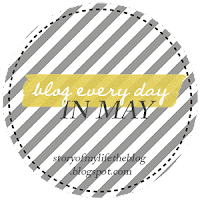 Blog Everyday in May Challenge Day 4! You can catch up with my other posts by just scrolling down and viewing the older posts. My favorite quote changes from time to time to be honest. "And though she be but little she is fierce" by Shakespeare. There are a number of reasons as to why I like love this quote. 1. I feel it describes me perfectly. 2. Aishah- my name means survivor/one who shows bravery. If you look at it from a religious perspective Aisha Radi Allahu Anha (Blessings of God be on her) one of the wives of Prophet Muhammad (Peace Be Upon Him) is described even today as being fierce. This just reassured me that this quote is my favorite and totally speaks about me. I of course love quotes about love, life, following your dreams, never giving up, etc. But this quote has just become so much more personal for me. Come back tomorrow for Day 5! Have a wonderful Saturday!